Hello beautiful giants of the sea. 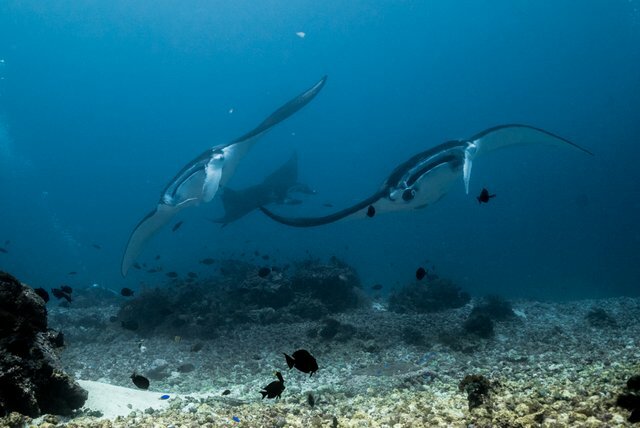 We spotted these guys cruising the reefs of Komodo. Pretty Epic! Don’t forget to Upvote and Resteem!! Wow, what is that strange looking creature? Looks amazing. Strange but majestic, they are so graceful underwater. Are those some young manta rays? Love the mantas!! Looking forward to your contest!! They are very majestic and unfortunately due to fishing pressure becoming much harder to see in the wild.